This resource is great for Grades 3-8 FSL students! 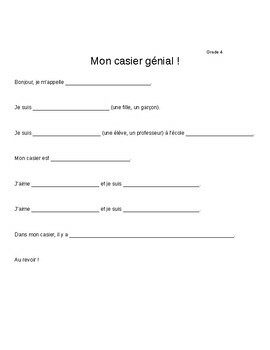 Use this oral speaking task to assess students. They will have to describe themselves and their lockers. 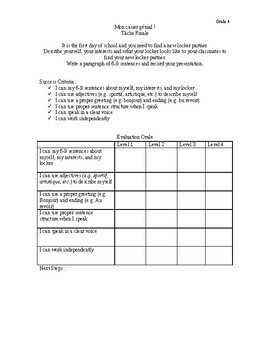 Included are task instructions, a rubric and a fill in the blank speaking outline for weak students.